Last Sunday after Morning Eucharist at the Church of Epiphany, a friend and I began talking about Avery Island, one of the “islands” six miles south of New Iberia and four miles north of Vermilion Bay. The Island, of course, is not really an island but a huge mound that sits on top of a large salt dome, or monolith. It’s one of five famous salt domes of coastal Louisiana deposited by the sea some 200 million years ago. The Avery Island monolith juts upward 152 ft. above sea level, is eight miles deep, and one mile wide. Most people know the semi-tropical island for its red treasure, the world famous Tabasco sauce first made by Edmund McIlhenny. The entire island is fascinating enough, but few people know about a small book given to me by Bobby and Margie Duncan, years ago, entitled the “Petite Anse Amateur.” The brown-paper covered volume was created from two bound collections of a little newspaper, three inches by four inches in format, published by children of the Avery-McIlhenny family. The children, aged 5 to 14, wrote this newspaper between the years 1879 and 1881 while living at Avery Island when the Island then bore the name Petite Anse Island…thus, the name of their newspaper bore a name with which many of us who live here in New Iberia today aren’t familiar. The story of the “Petite Anse Amateur” centers around a tutor named James Mesner of Massachusetts, a Harvard graduate who was engaged to teach the Avery-McIlhenny children after Mrs. French, a friend of the family, died. One Christmas, Mr. Mesner presented the Avery-McIlhenny offspring with a small printing press he had received as a boy. He proposed that the Island clan print a newspaper as part of their education in English composition. At that time, the children lived in a sparse community that offered few intellectual pursuits, so they became excited about producing a newspaper of their own, quickly ordered printing paper, and began obtaining subscriptions and advertisements. The opening article in the “Petite Anse Amateur,” contains a charming description of the Island written by Daniel Dudley Avery, Jr., complete with a notation about the famous salt mine that had first brought prosperity to the occupants of the Island and brief mention of how it fared during the War Between the States when a Union attack on the salt works sent the family fleeing to Texas. After a hiatus, family members returned and, ten years later, they revived the salt mining industry, which is still in operation today. In the introduction to the “Petite Anse Amateur,” editor and publisher of the small facsimile of the newspaper and a descendant of an Island family, Kenneth Avery Ringle, describes the Island of the late 19th century as a place of abundant game and bayous filled with fish, crabs, and shrimp. He also mentioned the Avery-McIlhenny families’ nightly readings of the novels of Sir Water Scott and James Fenimore Cooper. Of particular interest to readers is the brief biographical sketch of E.A. “Ned” McIlhenny who became an Arctic explorer, founder of one of the nation’s first bird sanctuaries, which helped save the snowy egret from extinction, and promoter of the Tabasco sauce industry. E.A. McIlhenny also became nationally recognized as a big-game hunter and horticulturist. Only 500 copies of the “Petite Anse Amateur” were printed at Allethaire Press and a limited number of them were bound in leather by Claudia Cohen, and I feel fortunate that Bobby and Margie Duncan presented me with this copy of a volume we’d probably call an “alternative newspaper.” Since I now live part of the year on The Mountain at Sewanee, TN., I was excited to see that one of the ads the children solicited for the “Petite Anse Amateur” was a small notice about the University of the South at Sewanee, which touted a grammar school, academic and theological departments in full operation, perfect climate, and moderate terms for schooling. ‘Sounds ideal, but judging from reports of sub-freezing temperatures on The Mountain right now, claims of a perfect climate at Sewanee might be somewhat exaggerated! And parents of offspring who attend the University of the South today would hardly call the tuition moderate! 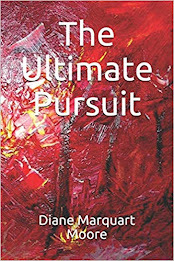 Two of my latest books from Border Press became available at amazon.com this week. One is a young adult book, the sequel to MARTIN’S QUEST entitled MARTIN FINDS HIS TOTEM, and the other volume is an adult “cozy” mystery set in Louisiana entitled NOTHING FOR FREE. MARTIN FINDS HIS TOTEM was reviewed in an earlier blog and involves young Martin Romero’s fascination with voodoo following a major Louisiana hurricane that almost sweeps away his Grandmother Eulalie’s treating shed while she is in it, a disaster which causes her to become ill. Grandmother Eulalie’s opposition to voodoo influences Martin to search for a native American totem to help him extricate himself from his fascination with voodooiennes so that he can continue his work as a traiteur using native American and Cajun healing practices. The second book, NOTHING FOR FREE, features Kate Patton, a woman who leaves her job as food editor with a New Orleans newspaper the day her husband threatens her life while they are netting crabs in Lake Pontchartrain. She flees to Robeline in central Louisiana, intending to write about food specialties of the area, and lands a job as a columnist for the Robeline newspaper. Kate is invited to dinner at Roselea Plantation, a place to which writers and painters often retreat to pursue their artistic projects. During a dinner held at Roselea, Kate witnesses the poisoning of a guest writer, and Amelia, a descendant of the People of Color, points a finger at several of the boarders at the plantation. When a plantation worker becomes a second victim of poisoning, local police arrest a guest painter, and all visitors become suspect. Kate, frightened by Amelia and her brother performing suspicious dances in the backyard of Roselea Plantation, is led to uncover a mystery involving the old plantation and its eccentric owner. I’ve been working on another writing project daily, and the publishing of these two books is almost anticlimactic, but I’m pleased to see their bright covers on amazon.com. Both covers are derived from paintings by my brother Paul, who lives in California, and designed by my grandson Martin, who practices landscape architecture in Madisonville, Louisiana. If you’re interested in other books I’ve written, log on to the Border Press (www.theborderpress.net)site. Thanks for being part of my reading public. Young readers have been asking for a sequel to MARTIN’S QUEST for several years, and might appreciate your ordering copies of MARTIN FINDS HIS TOTEM for them. 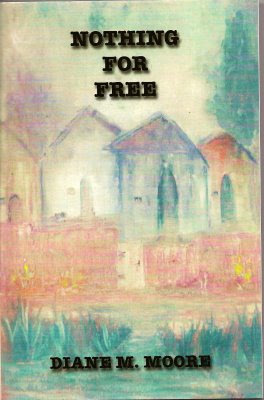 NOTHING FOR FREE is my first adult fiction book to be published. Shortly after the New Year, Mary Ann invited me and former ULL professor, Vickie Sullivan, to lunch at a Thai café in Lafayette and dessert afterwards at her home on Duncan Drive. 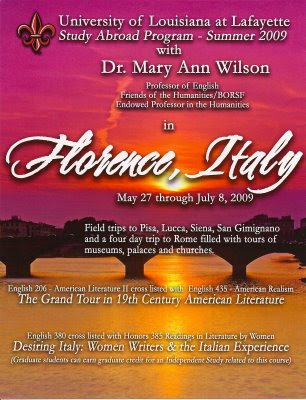 She showed us a flier that she had prepared for a Study Abroad Program during the Summer of 2009 in Florence, Italy. The studies are English courses 206, American Literature II cross listed with English 435, American Realism and billed as “The Grand Tour in 19th century American Literature.” She advertises the courses as an exploration of four 19th century American writers – three male and one female – who were seduced by Italy. The writers include Nathaniel Hawthorne (why am I not surprised? ), Mark Twain, Henry James, and Edith Wharton. Students will visit the gardens and villas of these writers while participating in their studies. What a wow summer this should be! Students don’t need to be ULL students, but they do need to register as ULL students the summer they take the courses, May 27-July 8, 2009. Cost of $6600 will include round-trip airfare to Italy, transfers to and from the airport, housing for six weeks in furnished apartments with kitchens in the city center of Florence, summer school tuition; field trips to Pisa, Lucca, Siena, San Gimignano, and a four-day trip to Rome with admission to museums, palaces, and churches. However, students will be responsible for their own meals during the program. Students can earn up to nine hours of college credit. For more information, contact: Dr. Mary Ann Wilson at pasta@louisiana.edu. This is a once-in-a-lifetime experience with an outstanding guide and teacher!! P.S. She knows how to speak Italian. 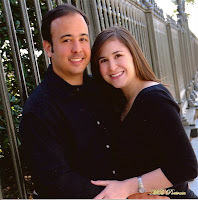 Last Friday evening, my grandson Martin Romero was married to Kristin Walker at St. Thomas More Roman Catholic Church in Baton Rouge, Louisiana. It was a joint ceremony in which I, an Episcopal deacon, was allowed to participate fully with a Roman Catholic priest, Father Tom Duhe, and I delivered the wedding homily with his blessing to do so. I experienced trepidations about meeting and rehearsing for the wedding because I had visions, from my childhood, of a disapproving Roman Catholic clergyman resenting my grandson’s request that an Episcopal religious be a part of this important wedding rite -- a rite once restricted to Roman Catholic clergy only --and also a rite once restricted to betrothed Roman Catholics. I was not only surprised by the embracing manner in which I was received, I was humbled because I had expected disapproval. The priest told me I could do any part of the service I wished to do, and during the rehearsal, he grasped my hand and led me up and down the altar steps, insisted that I give the couple the rings, read the Gospel, deliver the homily, and stand beside him at all points of the ceremony. We were all blessed by his calm movements, his inclusive manner, and the way he took care of every person about to “faint and fall out” on the altar. I think each person who had a part in the service felt communal, imbued with the spirit of inclusion as they moved through a rite luminous with caring. It was a safe place where the bride and groom, filled with the wonder and rapture of new love, felt free to weep as they knelt on the prie dieu listening to a homily that borrowed freely from the great treatise on the four loves by C. S. Lewis, Anglican apologist of the last century. Many people acknowledged me for giving an inspired sermon, and I appreciated their support, but I was humbled by their comments and kept replying that the priest, with the help of the Holy Spirit, had created the place for inspiration and love to prevail. In 1 Peter 4:8, Peter wrote about the community of love much like the one Fr. Duhe had helped to create during this short time of a mixed wedding ceremony. Peter said: “Above all else, hold unfailing your love for one another…”. We experienced and witnessed that love. I’m grateful to this compassionate priest for helping to make the wedding of Martin and Kristin “the most personal I've ever attended,” one of the wedding guests told me. Yes, the church, the service, the priest, and God’s people participating – it was a wedding where compassion and inclusivity took first place… thanks be to God. 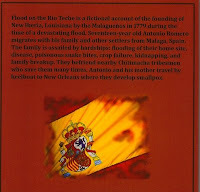 In my book of young adult fiction, FLOOD ON THE RIO TECHE, I acknowledge Felicite of New Iberia, Louisiana, a person I fictionalized as a Haitian woman in the story of the Spanish settlement of this city. I not only liked the name of this woman, I liked her caring personality. In the fall of 1839, yellow fever broke out in New Iberia, and the “real life” Felicite became the first Florence Nightingale of Teche country who ministered to the sick, cared for those who were dying, and sometimes buried the dead. New Iberia historian Glenn Conrad, now deceased, wrote about this unique person, who even had an oak planted in her honor by the Conrad family at West End Park in New Iberia. Felicite, who was born in Santo Domingo, was a part of the Duperier family, dating back to Henry Frederick Duperier, and when the 1839 yellow fever epidemic struck New Iberia, she became both physician and nurse, even to several doctors in town. Undocumented reports told of half the population of New Iberia dying from the fever that year, but historian Conrad revealed that according to St. Peter’s Church records, only 11 people were buried from the church during the epidemic (but some may not have been Roman Catholic or may not have been able to afford a funeral!!). Conjectures have also been made about Felicite being a slave who belonged to the Duperier family, but, again, Conrad declared that there was reason to believe she was a free person of color living on the Duperier place. He claimed that there was no evidence she was a slave. Felicite was so revered for her altruism during the yellow fever epidemic that her picture adorned the parlors of a number of her white friends during the 19th century, according to another historian, William Perrin. Perrin wrote that on the day of her death, her body lay in state in the home of the Duperiers, all New Iberia businesses were closed, and the entire population followed her to her last resting place. When I was writing FLOOD ON THE RIO TECHE, Felicite seemed to be a good candidate for a fictionalized version of a healer in this story of the Spanish settlement of New Iberia, so she became a part of the city’s history in a second memorializing, even though she was fictionalized. In 1989, on the occasion of New Iberia’s 150th anniversary, Felicite was remembered at a memorial service, and a headstone was dedicated in her memory by the NAACP. Winter in south Louisiana isn’t a dull time of year. It’s time for pageantry, parading, and masking for Mardi Balls. Carnival balls had their origins in antiquity when during the cold season of the year, people felt called to get together to celebrate their aliveness despite the fact that the weather was cold and icy. The weather IS cold and icy, and the bakeries have begun baking their purple and gold king cakes, planning Mardi Gras balls, and choosing Kings and Queens for the local Krewes in even the smallest town. From 1805-1819, Spanish rulers in Louisiana outlawed masking , but in 1827, citizens in New Orleans, “The City That Care Forgot,” petitioned the City Council to legalize the custom of masking. Before parades became prevalent in New Orleans, revelers, masked and costumed, attended carnival balls and dressed as humans with bird or beast heads or as birds with human heads. After parades became a part of the Mardi Gras scene, masking persisted for those who didn’t belong to secret societies that organized the parades. By 1860, maskers were sometimes pelted with sticks, stones, and lime in the streets of New Orleans. Because of this uproar, masking was almost banned; however, with police control, street masking became an official part of the parades and other Mardi Gras celebrations in New Orleans. So you wonder why the hurrah about masking? In an article entitled “Carnival Universal,” that appeared in the “Mobile Bay Monthly” a few years ago, Eugene Walter pointed out that the French sociologist and philosopher Roger Caillois believed that masks were more common than spear, bow, arrow, or plow and reflect the unity of human experience – more than any belief, tool, custom, or invention! He believed that entire civilizations flourished without the wheel but not without the mask. Painters in prehistoric caves showed dancers wearing animal masks; warriors wore masks to intimidate their enemies, and masks were used for solemn rituals and comic occasions. Walter emphasized that at carnival time, men masquerade as totems of virility – as horses, rams, dogs, and bears. Each time I return to New Iberia for a few months after a sojourn in Sewanee, I seem to meet up several times at the grocery with a friend who is a folk artist here in New Iberia. We usually stand in the aisle or parking lot of the grocery and stop traffic because we converse such a long time. The friend’s name is Jean Wattigny, and I wrote a profile about her when I was associate editor for “Acadiana Lifestyle,” referencing her as a Renaissance woman because she has diverse artistic gifts that would challenge any accomplished creative person. Jean has taught gifted and talented students in Iberia Parish School system, including Anderson Jr. High, students with learning disabilities in the Plantation Education Program, Inc. and at Our Lady of Fatima School in Lafayette. She established a tutorial program for children with disabilities called “The Beacon School” at Episcopal School of Acadiana in Cade, St. Thomas More in Lafayette, and The Academy of the Sacred Heart at Grand Coteau, Louisiana. In the Gifted and Talented Program of Iberia Parish Schools, Jean taught students how to write and refers to that experience as one in which she took students “out of chains” since many of them had been paralyzed by their inability to write before they came to her. When I wrote my book THEIR ADVENTUROUS WILL, PROFILE OF MEMORABLE LOUISIANA WOMEN, Jean did a preliminary drawing for the cover which I decided not to use because it had many colors in it and the cover would have cost more to reproduce than a two-color one. I left the picture at Sewanee so I can’t reproduce it here for readers, but it shows a whimsical imagination busy with quaint characterizations of women at work. Jean also painted, for me, cartoon-like designs on a wooden stool that depict me as someone who performed a juggling act with all the jobs I was carrying out a few years ago. In my bedroom here in New Iberia, I’ve placed atop this stool Raggedy Ann, Jimmy Bear, and two other stuffed bears to remind me that I’m almost 74 and had better start playing a little. One of my favorites among Jean’s paintings is something called “Catahoula Cows,” which she first rendered as a poem that didn’t satisfy her creative impulses. In the poem, she attempted to capture a feeling she had one summer when she was pregnant with one of her three daughters. She likened herself to a Catahoula cow (at Catahoula, LA) lying in the sun, too tired to even flick away the flies. After struggling with the medium of poetry, she went to her easel and began painting the droll picture that now hangs in her old-fashioned kitchen, a large room decorated with rich woods and hanging copper pots. Jean lives in a restored Greek Revival home built in 1852, prior to the Civil War. It is made of cypress that had been aged for a year and was designed and constructed by slaves. Jean’s husband Jerry built some of the furniture in the old home. The two-story mansion has floors made of wide board heart-of-pine and is furnished with Louisiana antiques, primitives, and family heirlooms. The Wattignys once ran a bed and breakfast and entertained guests from all over the world in their elegant home. Jean says that in her teaching she has never taught the same thing two years in a row and believes that variety is an important part of good teaching. She confesses that she changes interests a lot but never really gives up anything. She might not continue the interest as a vocation but keeps it and continues to grow by pursuing that particular interest along with new creative work. Needless to say, when I encounter Jean in the grocery, I know that I’m about to be immersed in an adventure that expresses the latest interest in her full and varied life --she IS an artistic experience! When I look at the bottom photograph on the front cover of the book and see the scruffy shoes my sister and I are wearing, I remember how sensible people were about their clothing and shoes in that era, with one pair of shoes per person for the entire year …and a whole lot of polishing going on each night! It was also the day of union suits, awful one-piece undergarments with latch backs on the behinds that my grandmother sent to me, wrapped in special brown paper parcels, from Franklinton, Louisiana (and I was forced to wear until I was 11 years old) because she wasn’t sure my mother dressed me warmly. Our family was one of the smallest families on Birch Street, but I recall that Mrs. Landry, who lived behind us on Walnut Street, would line up seven pairs of shoes on the dining room table each night and begin her work of repairing the day’s wear and tear on shoe leather. She seemed to enjoy this task of helping her offspring put their "best feet forward," and the finished products gleamed considerably more brightly than the shoes in our family. We polished our own, hurrying through the process with our feet perched on a wooden shoeshine box our father had constructed. Judging from the photos on the front cover of GRANDMA’S GOOD WAR, I must have cared less about my shod feet. 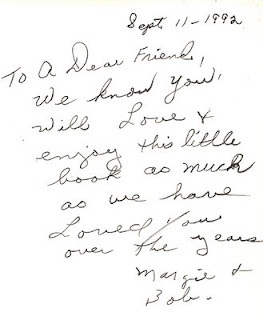 However, I did care about grades, which you can evaluate from the photo of an old report card that appears on the back cover of the book…and never mind reminding me, as many readers have, that I had one “B” in Arithmetic! In Baton Rouge, during the forties, we were regarded as city folk, but the city in that time was an overgrown small town, and at noon during the summer, we’d gather around the radio to hear “Orene Mews with the News,” a program that featured notable persons of the week, all of whom we knew personally. Such was the close social life of a city that now has a population in the 100 thousands. while we had freedom to form gangs, enjoy slugfests. to this day, a name I refer to as unbearable Monotony. Hands have always fascinated me, and I attribute powerful healing qualities to them. I also feel that I can tell a lot about a person from the way he or she clasps my own hands during an introduction; I find it difficult to forgive a two-fingered, limp handshake. Some of my “beloveds”’ hands include the trusting, small hands of my children when they were young (more than likely dirty, rather than freshly-washed), the long-fingered hands of many of my musician friends, the rough palms of my father who spent hours gardening during his retirement, and the soft skin on the hands of my mother Dorothy and Godmother Dora, to name a few. I often pass signs advertising palm readers along the road here in Cajun country, but I’ve never stopped to investigate, nor have I wanted to pay the price to have someone hold my hand and tell me a story that I could just as well have created. The practice of palm reading really dates back to the Hindus, and the art of interpreting various lines in a person’s palm and foretelling bad and good occurrences in that person’s life deals with the symbols of earth, air, water, and fire. The palm reader can predict much by looking at broadness of palms, finger lengths, and skin colors, and can tell a lot about the person’s heart, head, and life events from scrutinizing the lines in a person’s palm. Palm readers lay claim to being able to determine the degree of vigor and vitality in a person by reading those varied lines. There’s no conclusive scientific data regarding the accuracy of predictions by palm readers, and I always whiz by roadside signs advertising them and avoid getting my palm read – I’ve experienced enough of life’s vicissitudes to the extent that I don’t want to hear about more about the same misfortunes that might lie ahead. I’ll just observe some positive event like “Hands Day” in June when fraternal benefit societies and volunteer organizations get together to celebrate the GOOD work of many hands. combs of honey, hard mortar and wood shavings. and it becomes polished ivory. (rudiments – these my father’s rudiments). as he bellows the captainship of his soul. incongruous with his other erosions. My younger daughter Elizabeth, who lives in southern California, is visiting here during the holidays, and she brings with her memories of visits to California I’ve made during the past 25 years. In the summers of those 25 years, we traveled through diverse landscapes in this Golden State that draws entrepreneurs, people with vision, tourists, and eccentrics – all seeking a feeling that I often experience when we hit the High Desert – one of freedom and abandonment. Every summer when I traveled to Van Nuys, Lancaster, or Palmdale, the three places Elizabeth has lived, we’d plan a trip up the Central Coast toward the magnificent rocky scenery near Big Sur and Carmel…or to Lake Tahoe…Big Bear…Sequoia National Park…then inland on Hwy. 5 to Fresno and farmland in the San Joaquin Valley. Some treks were made to see my brother and his wife in northern California, and we veered off course to see New Iberian Roseanne Raphael in Berkeley several times, went over to San Francisco and to Muir Woods, stopped in wine country for a little tasting adventure before proceeding to Crescent City. I’d say that we covered the state, except for two colorful spots – the Lassen Volcano area and Death Valley, the latter for which I have a yen to visit during the winter. My father and mother loved the West and took us on the famous Diddy Wah Diddy trek to L.A. when I was 11 years old. They declared that we’d be gypsies forever, a claim that frightened me at the time, but I began returning to the scene again and again, beginning in the 80’s, drawn to desert expanses, the paradise of ocean and mountain, and the Mediterranean-like climate, the sights of that beautiful blue sea crashing on gray rock. Once, when riding as a passenger returning to Palmdale from Lake Tahoe, I amused myself by writing 22 poems within a four hr. drive, recording the landscape as I rode. We whizzed through Cartago, Independence, Bridgeport, and Toiyake National Forest, my pen moving with the acceleration of the car, my exhilaration with the landscape unlike any feelings I have had while viewing scenery since that time. Note: Painting by my granddaughter, Kimberly Fontenette, age 16.